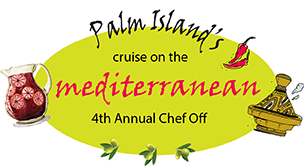 Description Grab your passports and join us at Palm Island 55+ Active Living Apartments for the 4th annual Chef-Off! Sample different international dishes and vote for your favorite! For more info, click here.